I know everyone's been dying (or have already died lol) to go to Boracay and I won't be a hypocrite to say I am not one of those. However, my husband and I have mutually agreed on this: Palawan first before Boracay. Well, not unless if we don't need to spend at least a cent for that Boracay trip no. Why Palawan? 1) It's a separate island if you will base it on the map, so it's like being isolated from the rest of the Filipinos, hehe. 2) All I thought it's in Visayas, but it's actually in Luzon (yes I'm dumb blonde like that hihi). 3) Judging from the photos I've seen from friends who have been there, it's so calm and peaceful there. Yeah, unlike in Boracay that most of the photos I've seen over the net are party photos of almost naked bikini-clad sexxxxxxy women. Hmm. 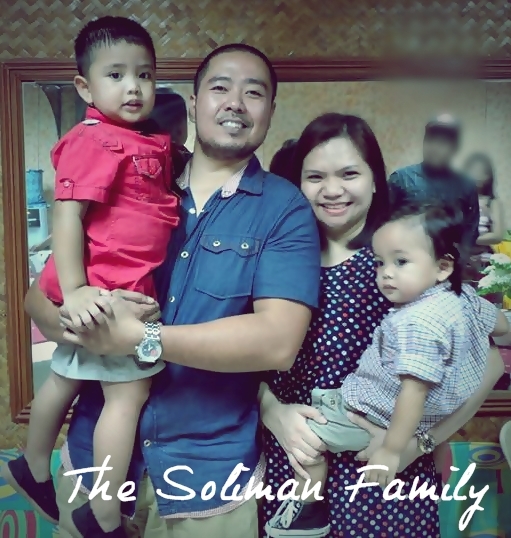 I'm now a family woman with a daughter who would eventually be a dalaga. So we need to veer her away , as much as possible, from the bad stuff this world could offer. 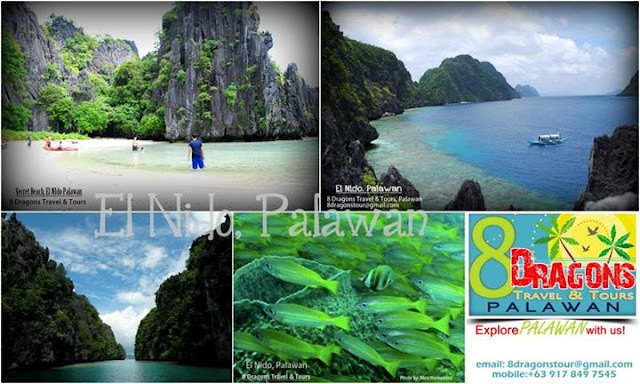 Palawan is also where this month's Nanaygosyante will take us. 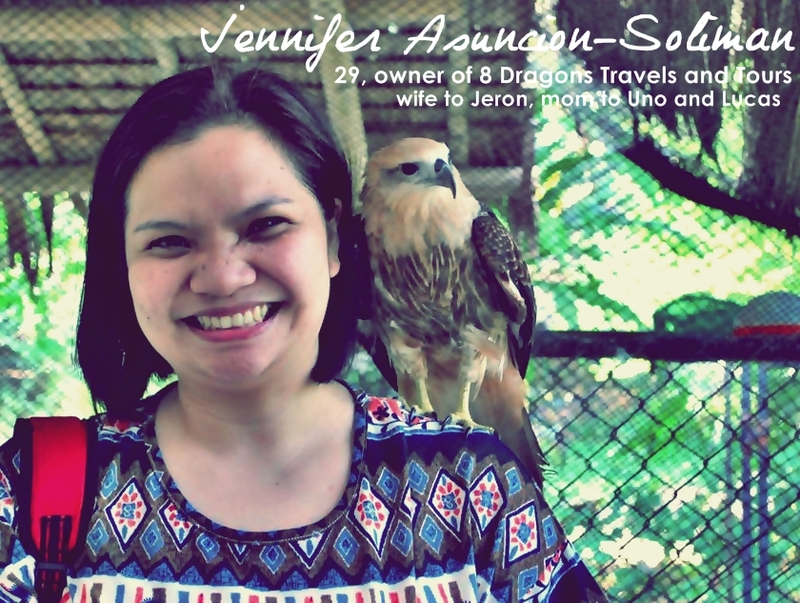 Jennifer Anne Asuncion-Soliman, or Jenny to most of the people who know her, owns 8 Dragons Travel and Tours with her husband Jeron. They started it on 2009 with a capital of, believe it or not, Php50,000 only! 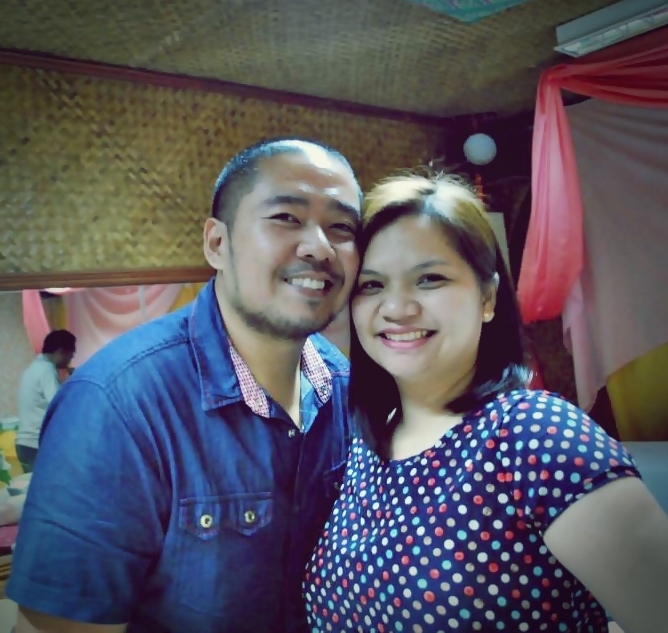 I guess what made their husband-wife tandem successful (hey, from what I have Googled, they're one of the most sought-after travel agencies in Palawan!) is that they're on this together. Jeron does most of the legwork: association meetings, securing of permits, task delegation to the secretary, etc; because he allows Jenny to be a mom to their two boys, Uno and Lucas. Mommy Jenny may not be your typical housewife as she brings their dirty clothes to laundromat and lets the hubby to cook for them, but she is a devoted mom. Since she is a nurse by profession, it is when her sons get sick that she applies what she has learned from being so. They also make bathing time a sacred thing in the Soliman household. Either she or Jeron bathes with their kids and take turns in dressing them up. 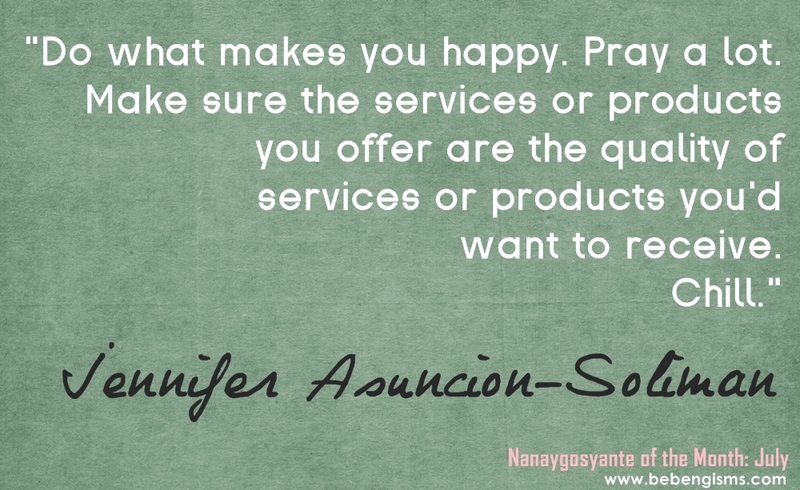 Our Nanaygosyante for July believes that a mompreneur must learn to juggle motherhood and biz by being creative. By that she means, if the kids are having their own time, it is also her time to answer emails and do things that the business require. Using all the possible resources (such as "human resources") could help, too. She asks her parents' assistance whenever they have client meetings that they need to leave the kids to them. But most importantly, Jenny knows how to prioritize. 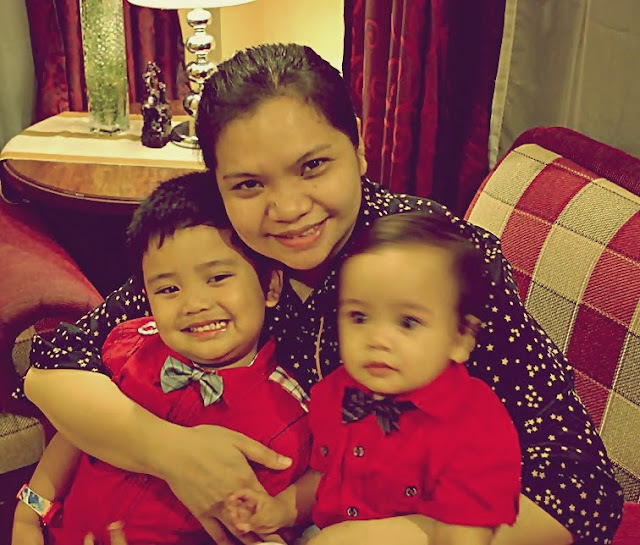 The reason why she quit her job as a nurse is because of her children, so her children and their needs are her top most priority. "Yes, we still date, once a week. We need that. It's ironic we miss each other often even though we are physically together most of the time. Maybe because we are always preoccupied with things --- kids, chores, the business, etc. After we put the kids to bed, that is our 'alone' time. We drink tea and watch TV or talk about our plans, the kids, chismis, or reminisce college and how far we've gone. And before we sleep we would massage each other's back every night. We can only afford to have a home service full body massage once a month. We jog twice or thrice a week. Ngayon, join ako sa gym niya since rainy season." 8 Dragons Travel and Tours is a travel agency accredited and licensed by the Department of Tourism based in Puerto Princesa City since 2009. They offer tour packages and other services related to travel to individuals, families or groups who wish to visit the province of Palawan (Puerto Princesa, El Nido & Coron) at an affordable rate. They arrange pension/hotel/resort reservations (resorts: like El Nido Resorts, Dos Palmas, etc), they also arrange educational tours for students, companies and organizations. Usually, their clients are families, groups (barkadas) and honeymooners. For the educational tours, they include sites related to their program/course, such as the construction site request of UST Civil Engineering students Class 2010 and 2012. They also customize tour packages and itineraries to satisfy the needs of their clients. They also do airline reservations or bookings. Yay! Thanks, Denise! Feeling ko artista ako. hahaha!